Dessert or Diet! : my amazing panini maker! happy friday bloggies! i am usually so super excited that the weekend is almost here...however, we are winding down vacation laziness and i am sad. like seriously sad. oh well....no need to fret the small stuff right? i had the super smaller one of the two.....and they were fabulous! so good that the hubs asked for them for dinner also. lol. silly man. Wow! I've been wondering the same thing myself...I feel like there is something big that I need to do...just not exactly sure what it is!!!! I wonder about my life every single day, multiple times. It's a bad habit of mine---wondering if I should stay in Charlotte, stick with my career, if I'm ever going to meet a normal man, etc. Grrrr. You're not the only one though!! 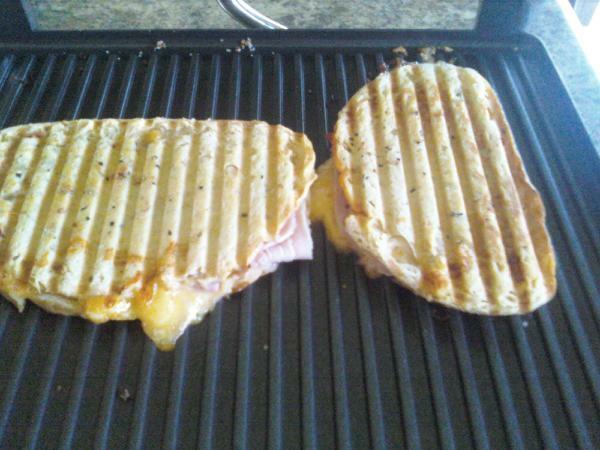 Okay, first, the panini looks/sounds delicious. (I'm hungry.) And, second, I think about that question all the time. Especially lately. And the only thing I'm sure of is that I have no idea. Your sandwich looks delish...and jalapeno cheddar bread?!!? I need to find some of that! YUM!! I sometimes wonder about my life and hope that I am making the right decisions for myself and my family! I just always hope that I am the correct decisions and if I don't, I deal with that later!! 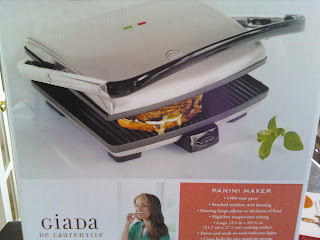 I haven't been to Target in a few weeks but I am SO getting the panini maker. I LOVE sandwiches like that. Yum! I wonder about life a lot! I feel like I'm heading in the right direction, but there's something missing. Maybe one day I'll figure that out! :) Happy Sunday! 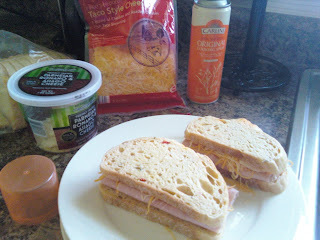 I came across it randomly...and now i am craving a panini!! calling all you sugar cookie lovers! why thursdays are almost as good as FRIDAYS!